Neoglyphidodon nigroris (Cuvier 1830), Behn's Damsel. Western Pacific and eastern Indian Ocean. To three and a half inches in length. The bright yellow and two horizontal black band juveniles are used quite often in the trade. At right a juv. in captivity. A juvenile in S. Sulawesi, Indo. 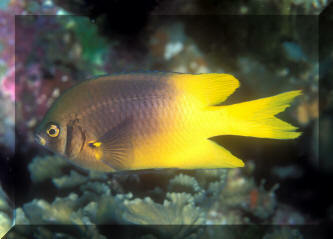 Neoglyphidodon nigroris (Cuvier 1830), Behn's Damsel. Western Pacific and eastern Indian Ocean. To three and a half inches in length. The bright yellow and two horizontal black band juveniles are used quite often in the trade. At right a juv. in captivity. An adult in N. Sulawesi, Indo. 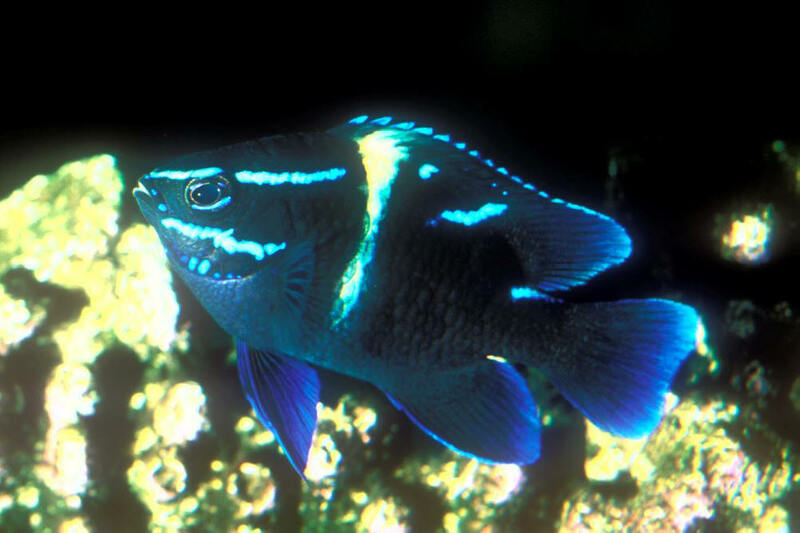 Neoglyphidodon oxyodon (Bleeker 1858), the most commonly named "Jewel Damsel" in the aquarium interest is called the Javanese Damsel to science. Indo-Australian Archipelago. To six inches total length, and a tough customer nearing larger size. 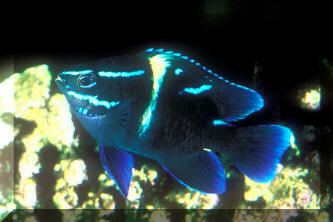 Neoglyphidodon polyacanthus (Ogilby 1889), the Multispine Damselfish. To five and a half inches in length. The smallest juveniles of this species are good-looking all yellow with a bold blue line and ocellus. 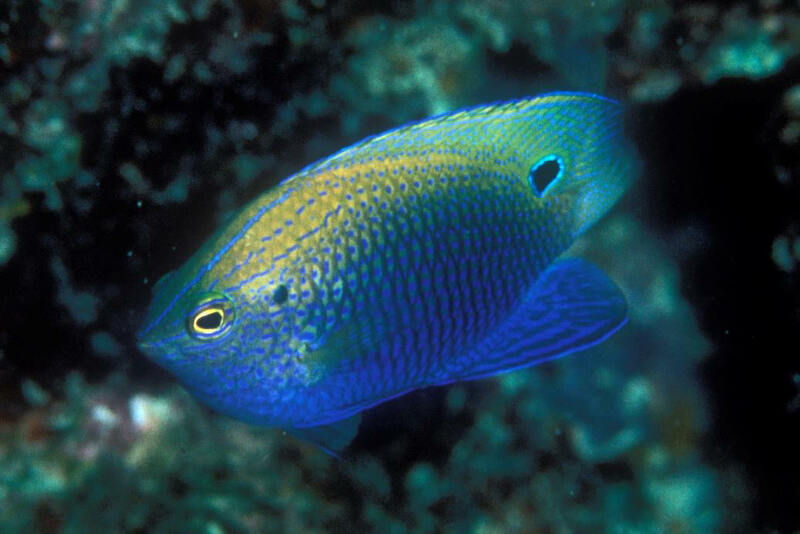 Sub-adult in Fiji.